Stacey Davies came back from maternity leave in 2015. 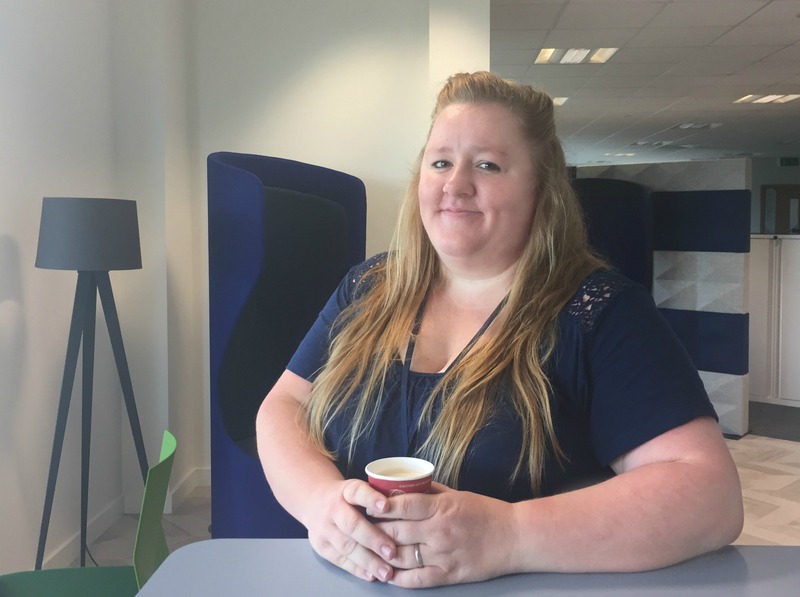 In this guest blog, she gives her first-hand account of the emotions, the support and the flexibility she encountered on her return to AXA as Resourcing Partner. I was pretty emotional about my return to work after maternity leave. I was anxious about leaving my daughter for four days a week and I was worried that I would have forgotten how to do my job, too! I’d put my daughter into nursery for a day a week since November, to make sure she felt comfortable being with her childcare providers – she absolutely loved it, and she knew who everyone was, which made me feel slightly better. But the guilt over leaving her was still there. A week after being back at work, I felt like I’d never left – and I remembered how to use my brain! And that was all down to the support of my amazing manager, Marcie. Having been off on maternity leave twice herself, Marcie knew exactly how I was feeling, which made the whole experience much easier for me. She was calm, full of wisdom and knew exactly what to say to make me feel slightly better about the entire situation. She was absolutely fundamental in ensuring I didn’t quit! When it came to AXA being flexible, it was all about working out what was best for the business, but what still worked for me in terms of childcare costs and other considerations. When I returned, I was working longer days over four days, including one day a week from home as I live an hour away from the Morecambe office. I was quickly moved to the Bolton office due to business area changes. This meant I was much closer to home and my daughter, which sat a lot better with me. The flexible working arrangements work really well for me and they rely on a certain amount of trust in me from Marcie as we don’t work in the same office, so she trusts that I’ll do my job, regardless of where I am. I manage my days myself, so it’s all down to me to ensure I’m performing. My advice to anyone about to go on maternity or paternity leave would be to stay in touch with the team. Make sure you have some one-to-one catch ups in place so you know what’s going on in your team and with the business, so you’re not coming back to the unknown. I would also say that it’s completely normal to feel anxious about returning to work – you just need to find the right person to support you coming back. For me, that was Marcie, and I’m so glad that she understood me and the situation, it made everything so much easier.